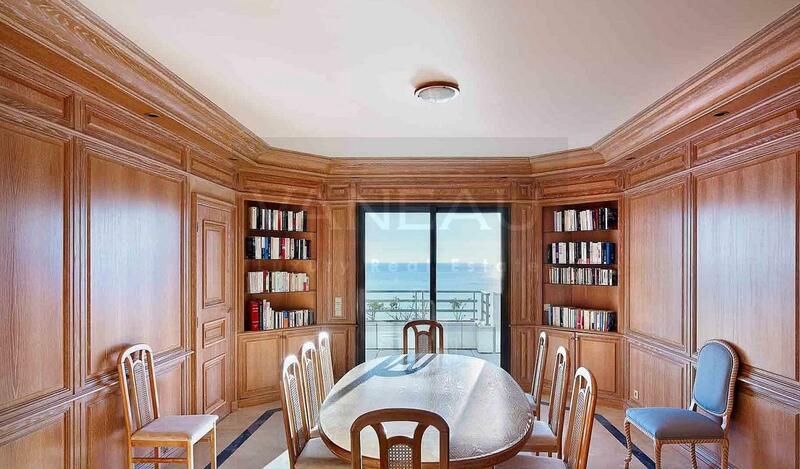 Magnificent Duplex Penthouse on the two last floors of a luxury residence on the Croisette. 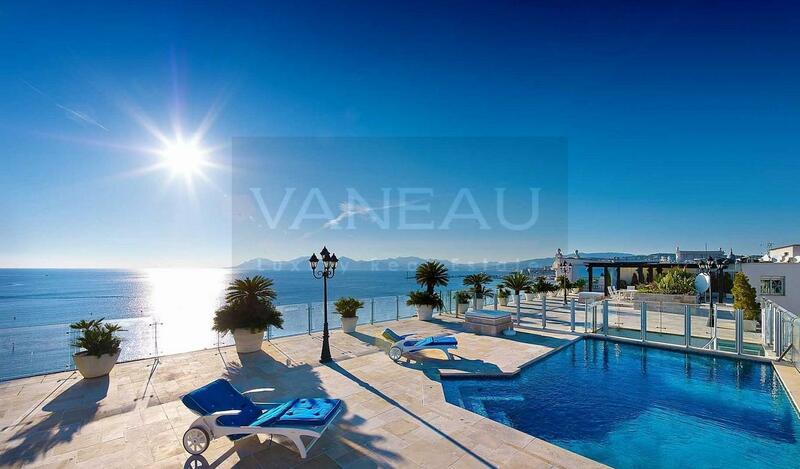 This villa on the roof is about ​​300m² and approximately 360m² of terrace. This penthouse has an entrance with a guest toilet and a cloakroom. A large living room crossing of 80m² with sea view, terrace access and access to the roof terrace by a glass staircase. A sea view room with a large table for 10 to 12 people which can serve as a dining room or meeting room. A fully equipped kitchen (fridge freezer, microwave oven, oven, dishwasher, pyrolysis plate and everything needed to ensure a peaceful stay. 2 bedrooms with sea view 2 double beds (140), dressing, 2 complete bathrooms (shower, bath, toilet). Beautiful rooftop terrace with heated pool, pergola, summer kitchen, living, solarium, automatic lighting.